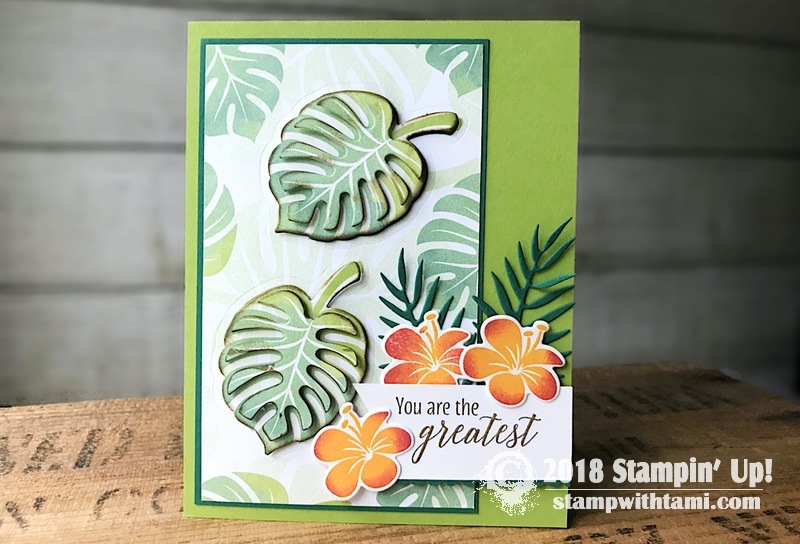 We’ve got a super fun Stampin’ Scoop Show planned for you today. 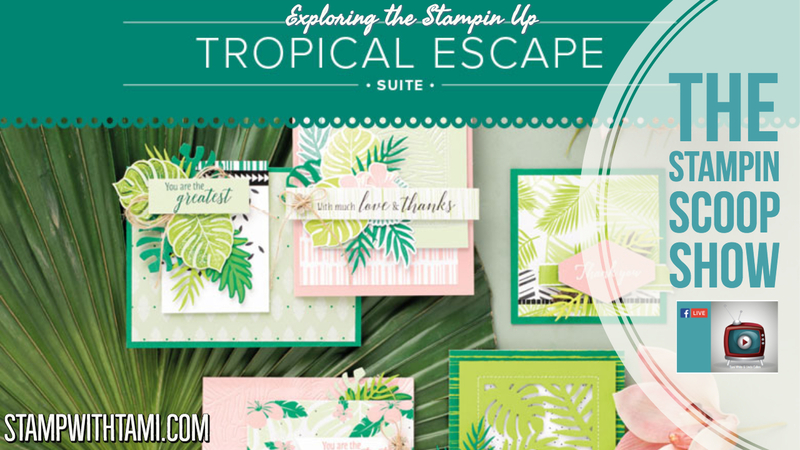 We’ll be exploring the Stampin’ Up Tropical Escape Suite. Sharing projects created with this fabulous bunch of products. We’ll also make a card. And of course have live and replay prize patrol. If you miss it live, you can watch the replay below. The “After Live” Drawing requires a comment on the video to enter. In order to enter, please leave a comment on the Stampin Scoop Episode 61 video on either YouTube or Facebook. If you share the video on Facebook (and type “Shared”) you will receive a 2nd entry. Join Tami White, and Linda Cullen, live on Facebook Live on Tuesdays for the Weekly Stampin Scoop Show. A live interactive video broadcast, where the viewers are part of the show. 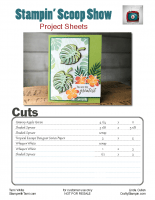 We share Stampin Up projects, inspiration, news and prize patrol. Thanks for always making cards look so easy. Loved this stamp set and Linda that was a great card too. Love this stamp set and love your cards! Thanks so much for sharing. Love the set and cards made with them as are cute. Thanks for sharing.